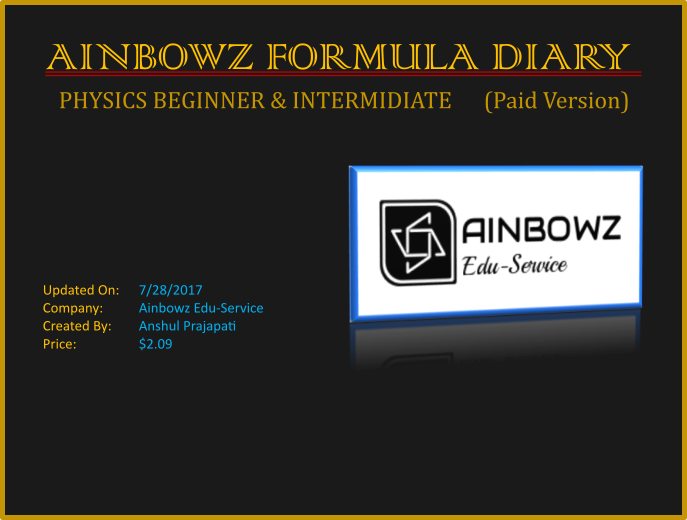 This is the paid version of Ainbowz Formula Diary-Physics. It contains formula which are rare to be found on any other formula diary. There are pictures for the formulas which are complex. The display has been so set, that it makes text easier to recognise. The formulas are highlighted by different colour and font size. If you want you can first check out our free version.